Step into the shoes of an FBI Recruit. 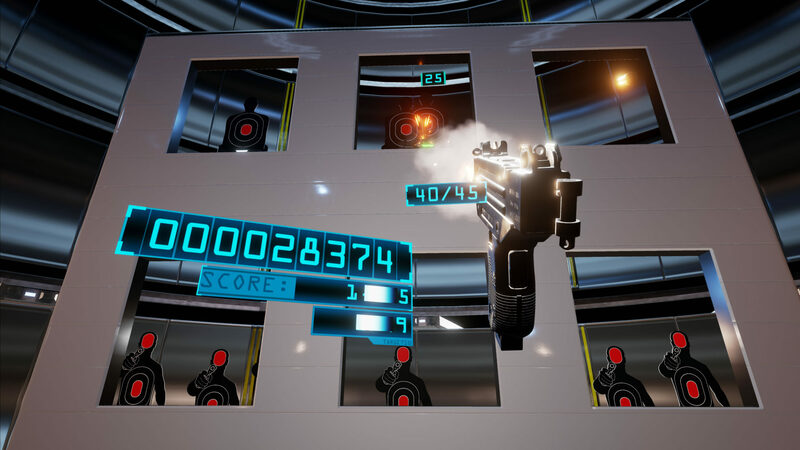 Lethal VR is a fast action arcade style shooting experience inspired by classic arcade gun games from the past, enhanced with VR technology to guarantee a new level of immersion never seen in the genre before. 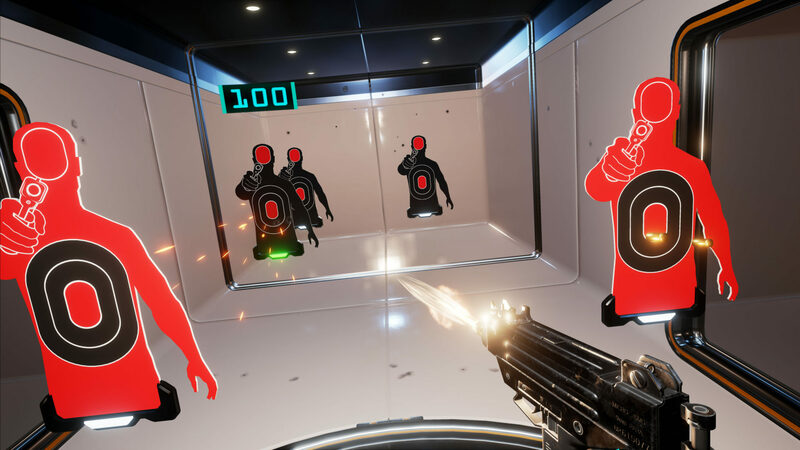 Developed using the latest version of the powerful Unreal Engine, Lethal VR is now available for HTC Vive and for PSVR. Adapted for PSVR to take best advantage of the PSVR’s strengths. What updates have there been for Lethal VR? 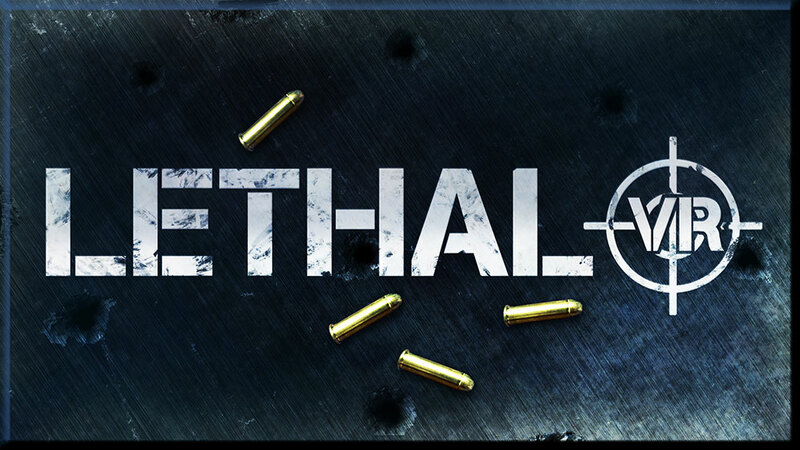 To date we have released 2 updates for Lethal on HTC Vive via Steam and for PSVR. 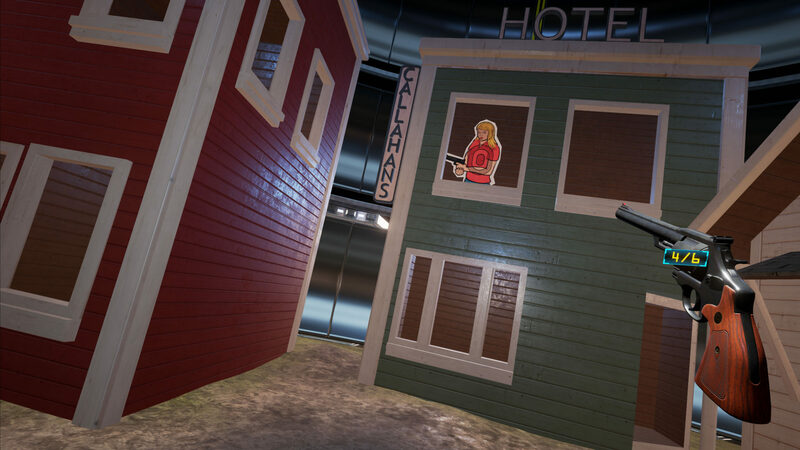 These updates added Global and Friends Leaderboards to the game as well as a few other minor changes. We also fixed some bugs. 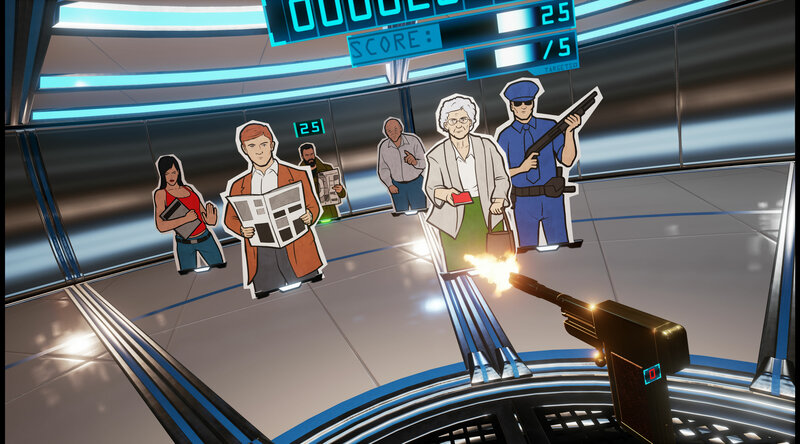 We are not currently planning any new updates for Lethal VR but we hope to return to the world of Virtual Reality before too long! 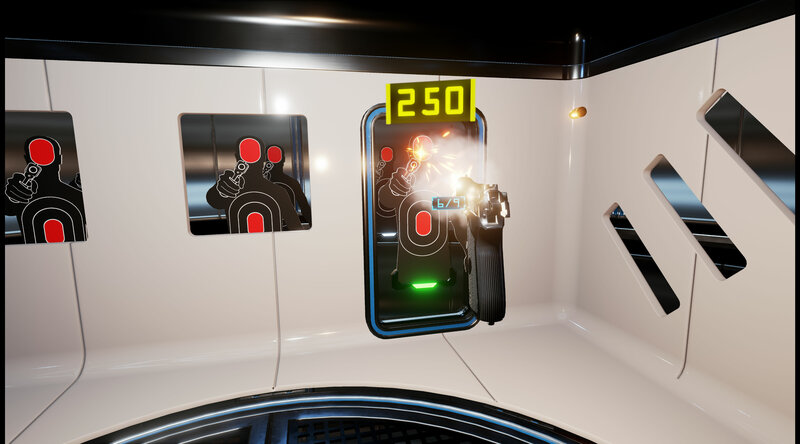 How is Lethal VR different on the enhanced PS4Pro system? Super sharp visuals due to drawing 60% more pixels through supersampling. Dynamic real time muzzle flashes light up the shooting range! Its important to ensure that you have 2 Move controllers connected and that they are both bound to the signed in player. The game will not start if you are just using a DualShock controller. Why is knife throwing different between the 2 systems? 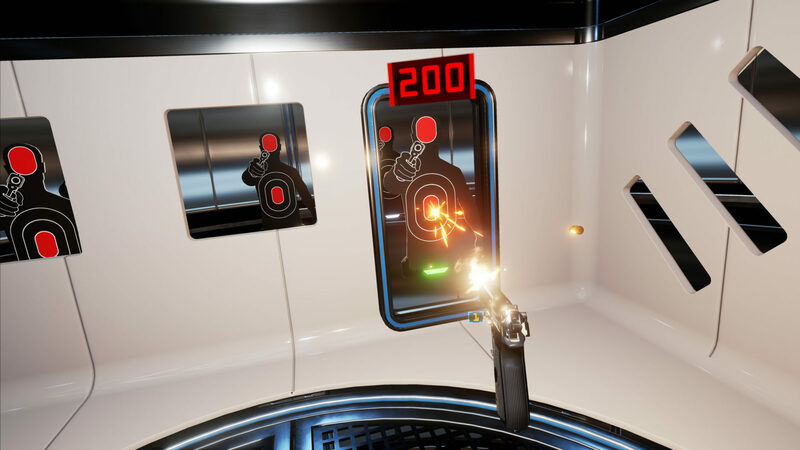 The PSVR and HTC Vive are very different VR systems and so we couldn’t have the same motion for throwing as on Vive. The PSVR version is engineered specifically to take advantage of the PSVR’s strengths – For PSVR we changed it to use what the PSVR tracks best (the headset) and combined it with motion sensor in the move controller for the flick. 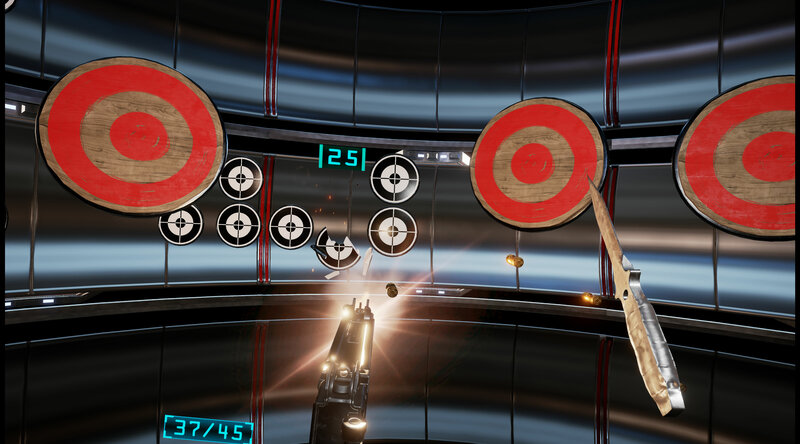 So look at the target and then flick the controller to throw. 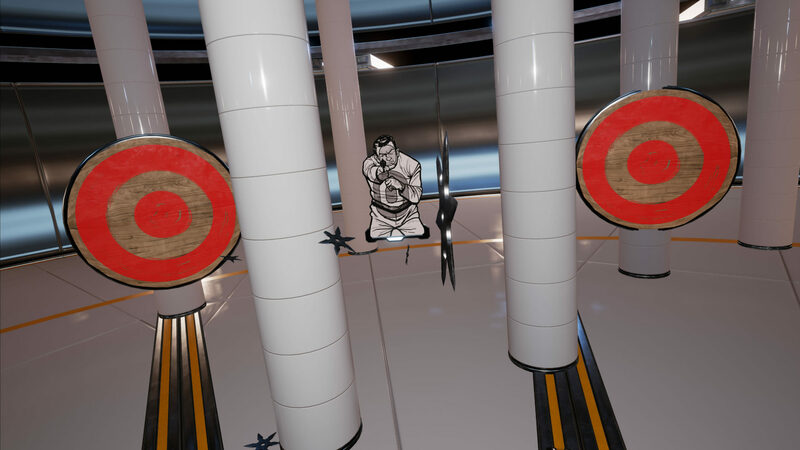 How does knife throwing work on PSVR and why am I having issues with it? 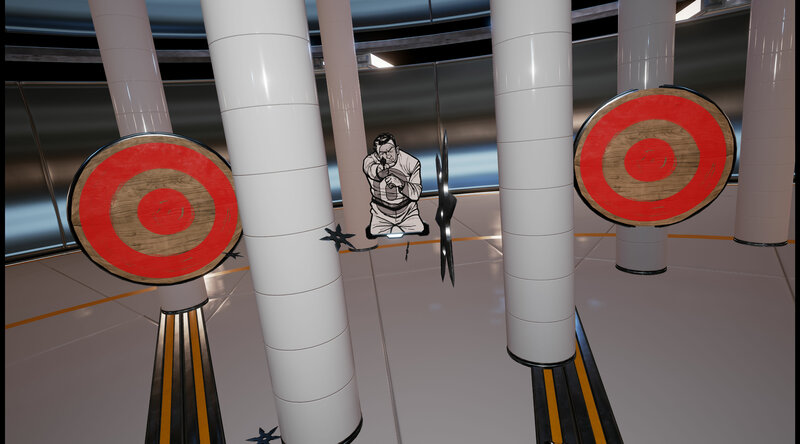 The direction of the throw is taken from the direction the PSVR headset is facing. In summary look where you want to throw, hold the controller at chest height and in front of the chest so its location is tracked as accurately as possible, flick your wrist towards the target and release the Move Controller trigger. 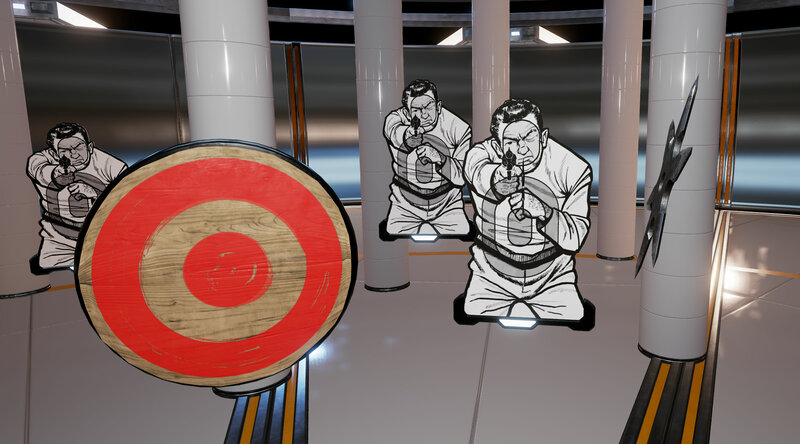 Hopefully you will be hitting Double Bulleyes in no time. If you are technically minded and would like to understand why we made the decision to do this read on…. 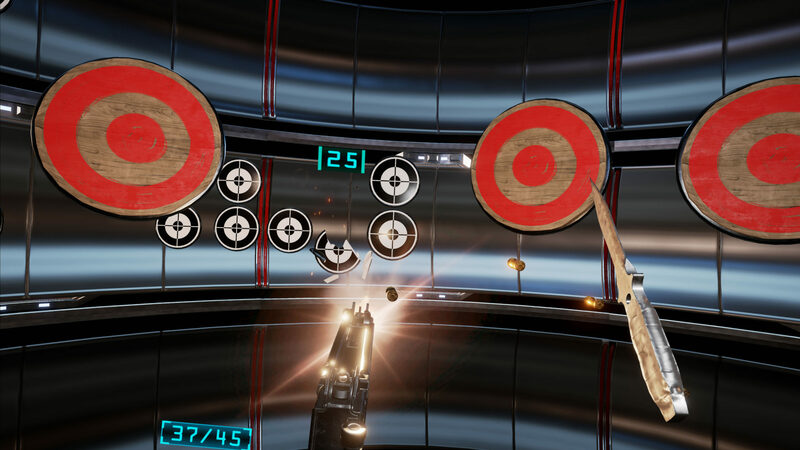 The speed (and hence distance) of the throw is taken from the magnitude of the angular velocity along the right vector of the controller at the point the Move Controller trigger is released. The direction vector is multiplied by the calculated speed to get the velocity for the throw. Why not have a common sense implementation of taking the velocity from the Move Controller itself? 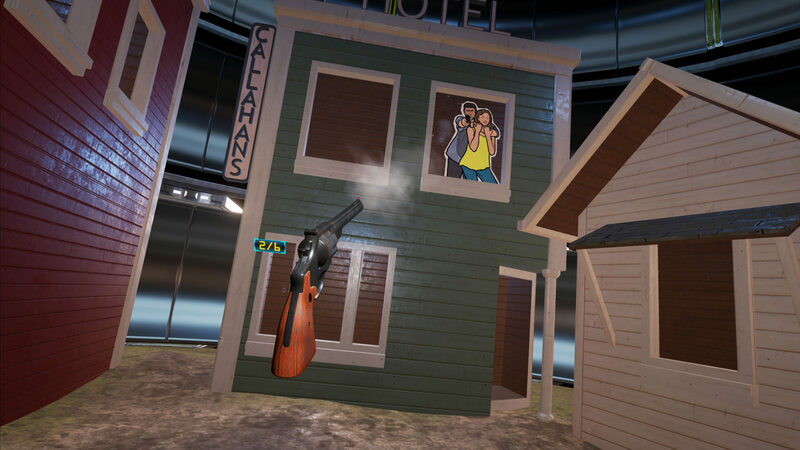 We tried incredibly hard to have throwing implemented this way but it was simply never going to work. Here is why. Performing a throwing action with the Move Controller moves it very fast and close to the headset or even behind it. 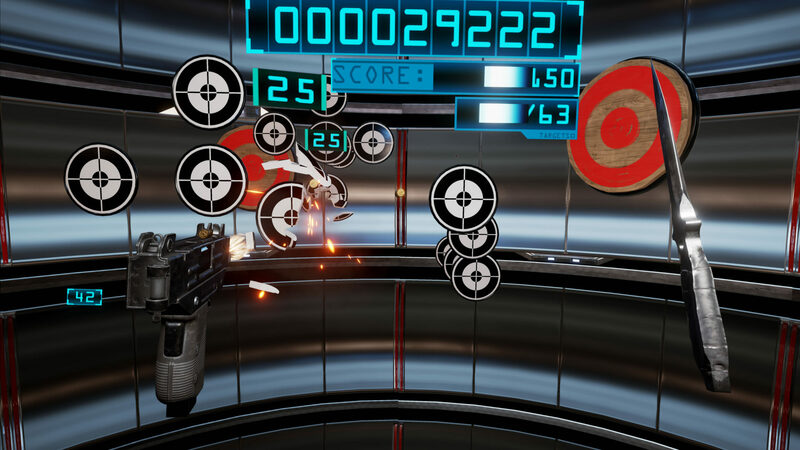 This proves very challenging for the PSVR motion tracking. In our extensive testing this was because the light from the Move Controller would either get obscured or interfered with by the headset. The position tracking also became significantly less accurate when the controller was moved quickly. The end result of having an action like this is that the position reported to game software of the Move controller is either wrong (in the case that tracking is lost) or less accurate in the case that tracking is working. 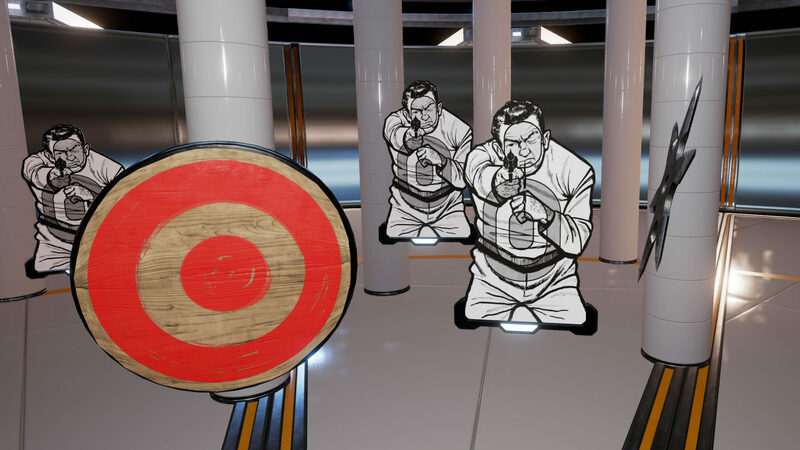 Not being able to know where the knife was being thrown from accurately enough made it very difficult to have a precise knife throw to hit targets. The consequence of this is that a smaller action proved much better to track. Compounding not being able to get throwing position accurately with a true throw action was an inability to accurately get direction for the throw. The Move Controller contains a gyroscope which is used to calculate both velocity and angular velocity of the controller. Ideally we would use the velocity reported from the controller (how fast it moves through the air and in which direction) for the throw (together with an accurate position). Again we tried very hard and for many days and with support from the Sony tech team to make this work. Ultimately it proved impossible. Depending on how accurate your set up is you may be able to reproduce an experiment I did to show why. The result is more obvious with a gun so go to a hand gun level. Hold the hand gun in front of you and note which direction it is facing as accurately as you can. Now perform a lot of quick throwing actions (5-10) and at the end leave your hand as close to where you started as possible. Hold your hand steady at look at which way the gun is now facing. In the worst cases I saw over 45 degrees difference in rotation of the gun to where it was when I started. On average the gun had rotated position just a few degrees. Now a few degrees in direction is extremely minor and when aiming a gun you naturally correct for this when looking at the target. 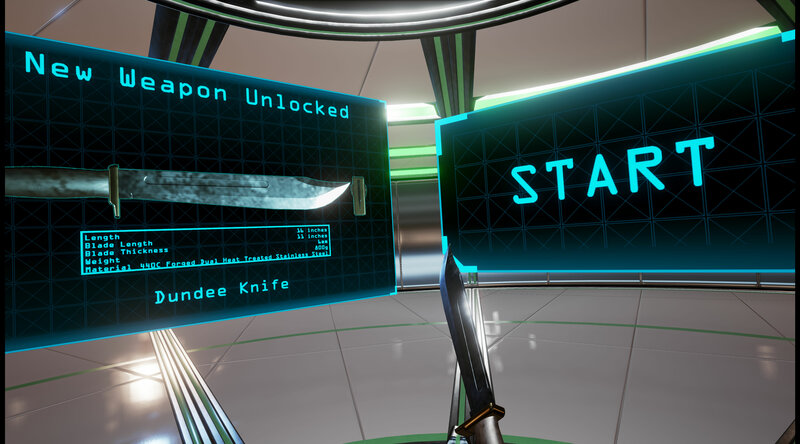 With a knife however you don’t stop to look at the angle the knife is facing as it is moving fast at the point of release. A few degrees of directional inaccuracy also quickly turns into a few metres of inaccuracy as the knife moves through the air. It was therefore never possible to get a perfectly accurate direction with a fast moving throw action. The combination of these two problems left us we no way to get accurate throw position nor accurate enough direction from any action that was “common sense”. We still wanted to include throwing weapons in the PSVR incarnation of Lethal VR and we still wanted to maintain an action as close as possible to a throw as we could. 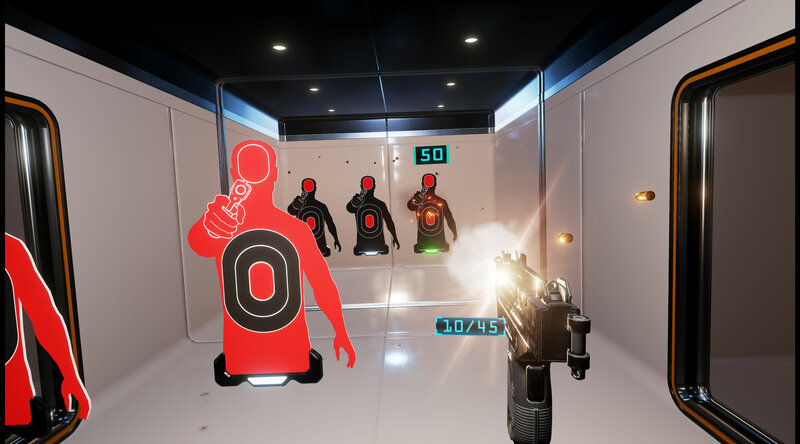 We knew that we could only get throw position reliably if the controller was not moved to far (to avoid it being obstructed by the headset) or too quickly. As a result we settled on a wrist flick action as being the best way to get a throw like gesture that would not move the controller enough to cause too large an inaccuracy in position. Despite weeks of trying there was no solution to getting a reliable enough direction for the throw from the Move Controller. The directional tracking of the headset, however, was always excellent. As a result we made the decision to take the direction of the throw from where the player was looking. This did compromise the feel as it was no longer possible to do cool things like throw the knife sideways or behind you but it did allow for incredible accuracy which was simply not possible otherwise. 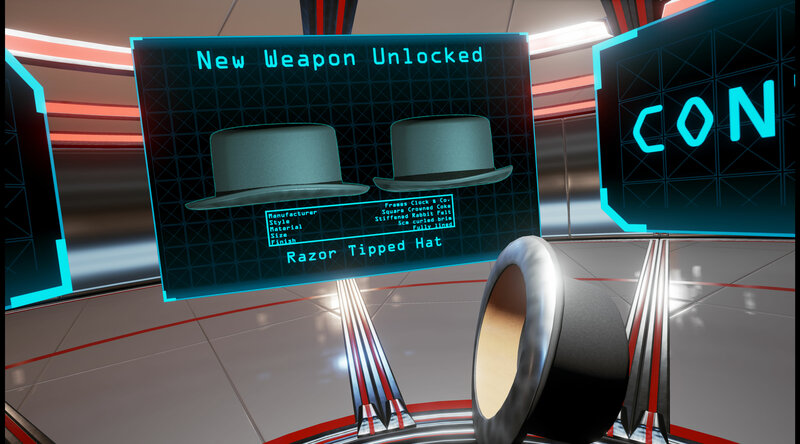 What should I do if I’m experiencing tracking issues with my VR system? Team 17, Sony and ourselves have tested the game extensively and you should not experience significant tracking issues. 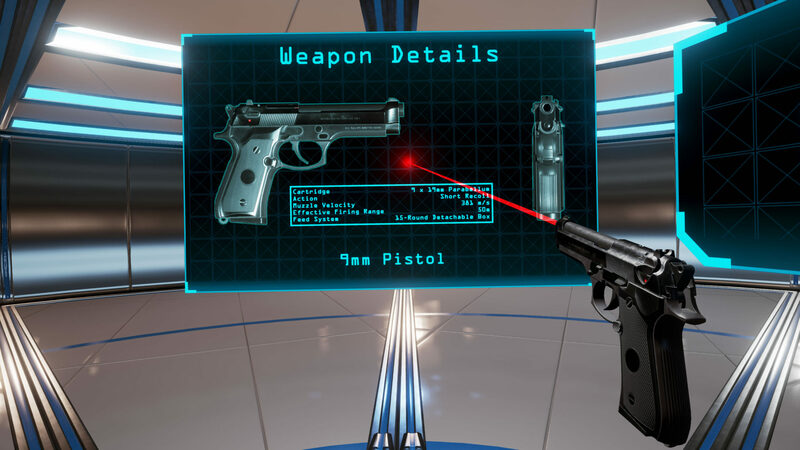 Therefore if you experience tracking issues on either system it’s important to check that your VR setup is optimal. The vertical field of view of the PSVR camera is not that large so you want to have the camera as close to your shoulder height as possible. I set mine up above the television as below the television it regularly lost tracking of both the gun and the knife. While there is some clever tech from Sony to track the Move Controllers in bright rooms it only goes so far. Our office PSVR is set up near a south facing window. In the mornings and evenings my tracking was fine but closer to lunchtime tracking would fail completely. I blacked out these windows for our PSVR gaming. My advice would be to make your room as dark as possible before attempting any PSVR gaming. 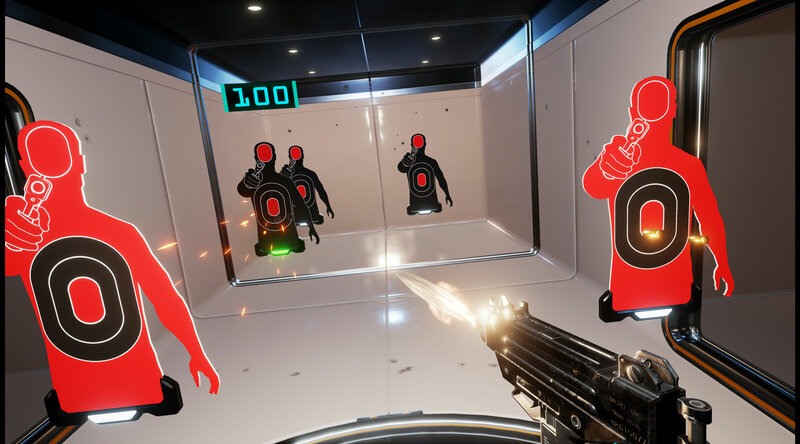 To help get you in the best position for the camera to see the Move Controllers I showed the Sony head positioning dialog when Lethal VR starts. With all the rest of your set up as perfect as possible positioning yourself so that your head is in the middle of the box should get your playing position as good as possible for the Move Controllers to be tracked. 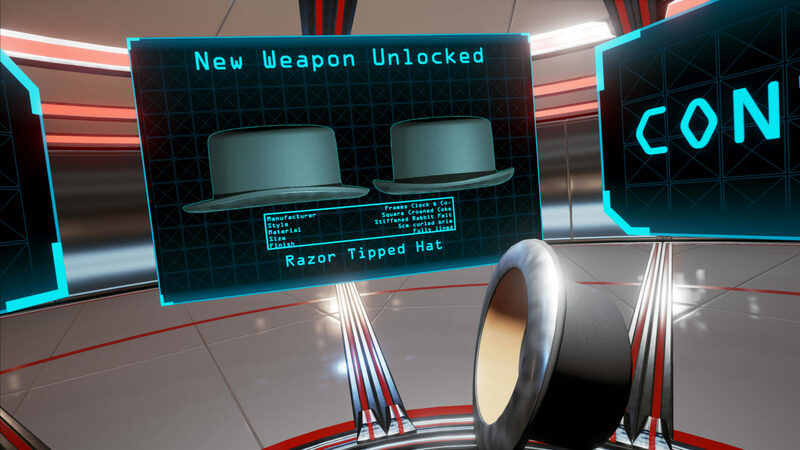 Follow this advice and all your VR experiences should be significantly improved.